coding in Xamarin Studio is the default namespace handling. 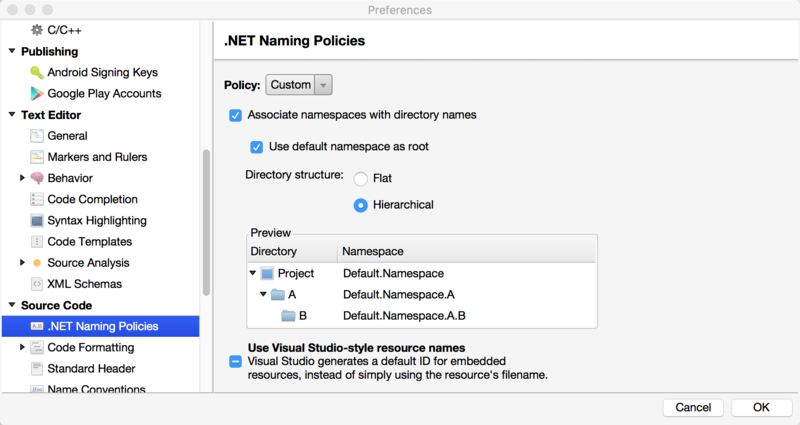 In Visual Studio namespaces per default follows the folder structure hierarchical. In Xamarin Studio is's just the opposite, a flat namespace stucture. Please note this is best done on a new project. If not, you have to manually ensure all namespaces are set correctly.